This holiday season, why not get a mineral every day instead of chocolate? Today’s mineral is Cassiterite find out more about it below..
One of the most obvious signs of the season is the number of church based carol services that you get invited to – and if you are in a church you are probably enjoying the dulcet tones of a full pipe organ. Even the fox at the Royal Albert Memorial Museum (RAMM) is excited about the holidays!! 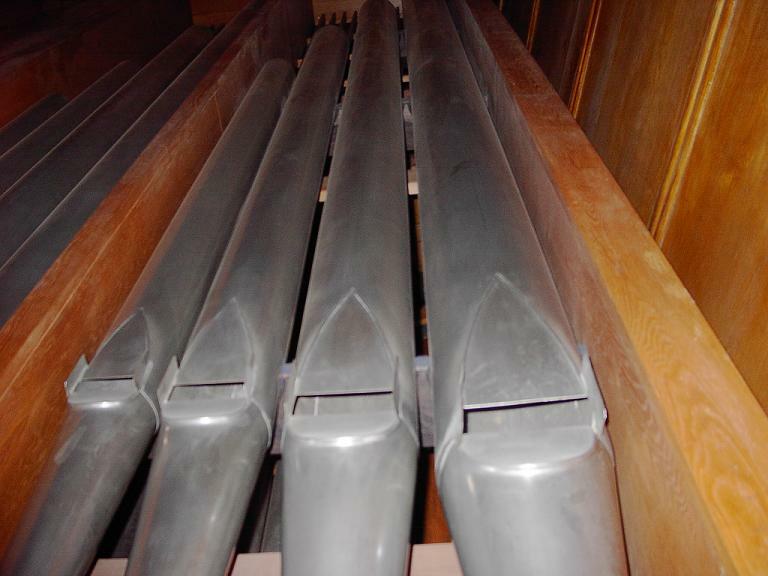 Organ pipes are made with tin, a metal that you get from the mineral ore cassiterite. In one of the best museums in Devon, the Royal Albert Memorial Museum (RAMM) you can come and handle museum specimens found locally and talk to volunteers like me! We have a lovely sample of cassiterite at Local Finds table that you can come and have a close look at! Lovely Casserite specimen sample from the Royal Albert Memorial Musuem’s Local Finds handling table. Colour: Black, yellow, brown, red or white. Cornishmen are fishermen, Cornishmen are miners too. When all the fish and tin are gone, what are Cornishmen to do? 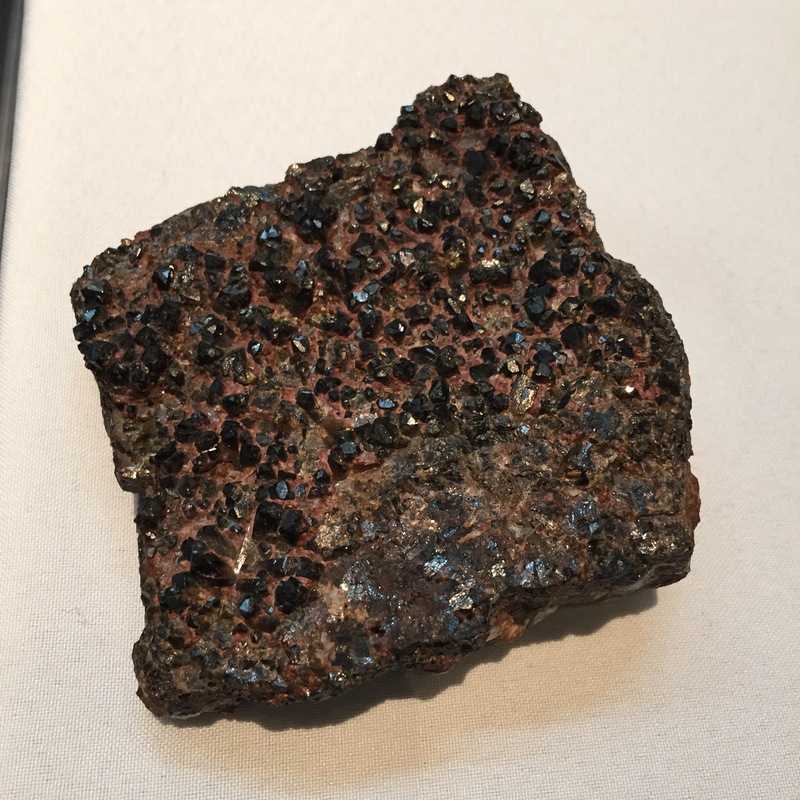 For more information about Cassiterite please visit the MinDat website. 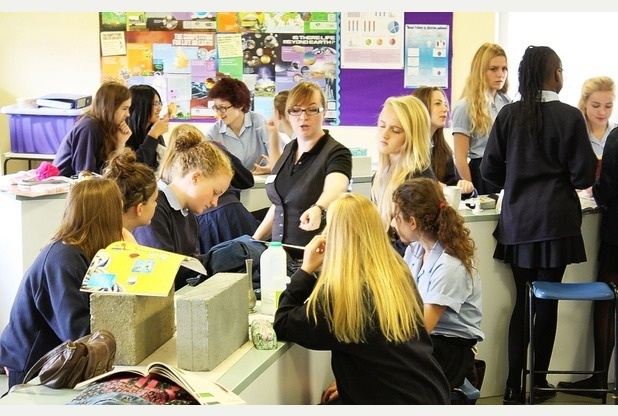 The article went on to quote a study done by the University of Nottingham, which stated that 31.5% of women believe that that shale gas exploration should be allowed in the UK as opposed to 58% of men, and that 65% of women identified shale gas as the product of fracking as opposed to 85% of men (the article said ‘correctly’, but as you can extract different types of fossil fuels using fracking including oil and methane – I would want more info before drawing that conclusion). The specific Nottingham University study itself was not made clear in the article, but it is here and it forms part of an ongoing series of studies about how we in the UK perceive shale gas extraction and fracking. The studies have provided many interesting results, but the focus on gender highlighted in this article has raised concerns. 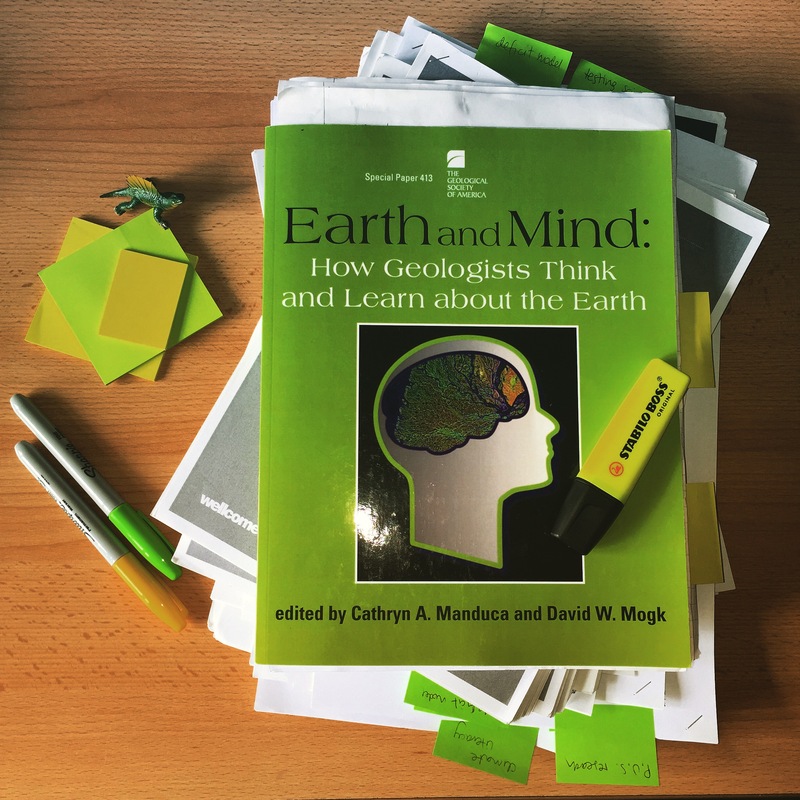 I was asked in the context of my work – had I found any gender bias in this issue of how people perceive geology? The short answer to that is not yet. The long answer is that I am less interested in the influence of gender and so am not specifically looking at that factor, and also that most of my data is still qualitative and so I would not want to draw general conclusions at this point. But I wouldn’t be surprised if I did. If you have not had a science education, then fact-based science communication is harder to engage with. What it doesn’t mean is that women are less able to engage with science than men, that’s a fallacy of logic. There are men who didn’t engage with science post-16 that struggle with fact-based science communication, just as much as there are women who have had access to post-16 science education who are completely comfortable with fact-based communication. The context that is missing from this article is culture. Women have culturally, for hundreds of years, been told that science is not for them, so they don’t engage with education. When someone of any gender doesn’t engage with education, it becomes harder to understand the intricacies of that subject later in life. What I have found in my research, and what I increasingly believe to be true, is that most people regardless of their gender want to know more about fracking, but the answer to that thirst for knowledge is not just facts. As communicators we need to take into account the different influences on people’s lives and not just expect them to understand and agree with us when we present them with data. So really I think this comes back to the title of this piece – ‘Women ‘don’t understand fracking’. Well maybe, for deeper cultural reasons, this is true – but actually I think the headline should read, ‘Women (like men) CAN understand fracking’ and it’s our job as science communicators to help make this happen. Can you blog and write papers at the same time? Recently I have entered solidly into the marathon of writing up my thesis. Now I know that you are supposed to be doing this all the way through your PhD and yes, I have been writing the whole time. But for me, if I don’t take a big run at it and do it in one logical progression, I just can’t make it make sense. So I have loads of one two and three page word documents scattered across my ‘Thesis’ folder (a title that has inspired a small frisson of terror in me, ever since I named it), none of which connect to each other in any meaningful way! I have been writing in a much more logical way, and my arguments are coming together nicely (or so I in my little writing cave of a mind think). The good thing about that is that all the ideas that I have had for papers over the last year are making a great deal more sense to me now, I can draw the threads of my arguments more confidently from my thesis writing and I feel good about writing these papers. The bad thing is that I have never written a purely acadmeic paper – I’ve been blogging. When it comes to writing short, logical, pieces that make a case for one particular thing, the area in which I have most experience over the last year is – here. The blogs that I have written and planned over the last two years have been my most reliable source of written output during the entire last phase of my PhD, and they are written extremely differently to a paper. I write colloquially, with slang terms and I often leap from idea to idea in the way that my brain does (yes, I’m a bit of a scatterbrain – ok a LOT of a scatterbrain). This format of writing really doesn’t mesh well with writing papers. It doesn’t seem to impact my thesis too much as I know that I am going to be writing and re-writing that until next year, but for papers I seem to get stymied in my informal writing style! This problem reflects the issue of writing in an academic language. Academic language is what you are taught (with varying degrees of success) to write with at University as an undergraduate. In the physical sciences its most obvious expression is writing in the third person (which reflects the notion that the scientist is supposed to be completely objective about their work), but it is used in all areas of academic life – in subtle and complicated ways. In fact, the success of your use of academic language and methods of thought is one of the things which mark you out as an expert in your field, as explored in a recent paper by Dressen-Hammouda (2008) on disciplinary identity and genre mastery. So if you are attempting to write a paper to expand the boundaries of your science (whatever it might be), you need to use the right textual cues and knowledge frames. This basically means you have to know the academic language (with all the implied meaning not obvious to an outsider) you need to use to make yourself credible to your peers and you need to know how to link concepts together in the same way that another person versed in your science would do so. 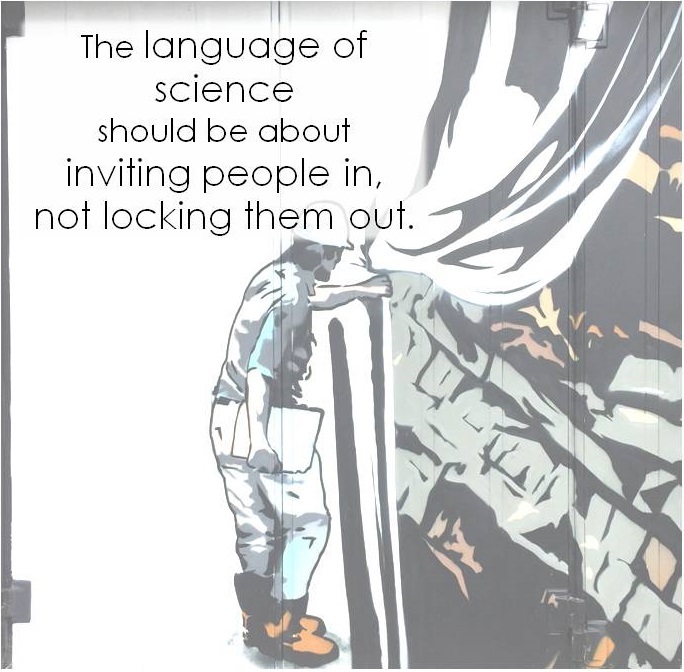 The language of science should not be used to exclude. (The mural is one I saw on the doors of a geology firm in Cornwall: Geoscience Ltd – the photo is my own). But this is completly the opposite of the style used for writing for a blog (or any form of science communication to a non-expert audience for that matter). In a blog you try to make yourself relatable, understandable and sympathetic. You want people to see you as a person and not a machine of science, and you want people who are not a part of your little community to feel comfortable coming in and talking about your subject with you. How do you balance these two competing needs? As a science communication researcher I value the method of easy communication that blogging needs, but I also need to contribute to my field. As a possible solution I am trying something new. At the end of a day of writing towards one of my chapters I am writing a page of one of my papers. I hope that this will allow the transfer of language across from the papers I have read to the papers I am writing. To all you bloggers out there, do you have any tips for switching between your academic and internet ‘voice’? 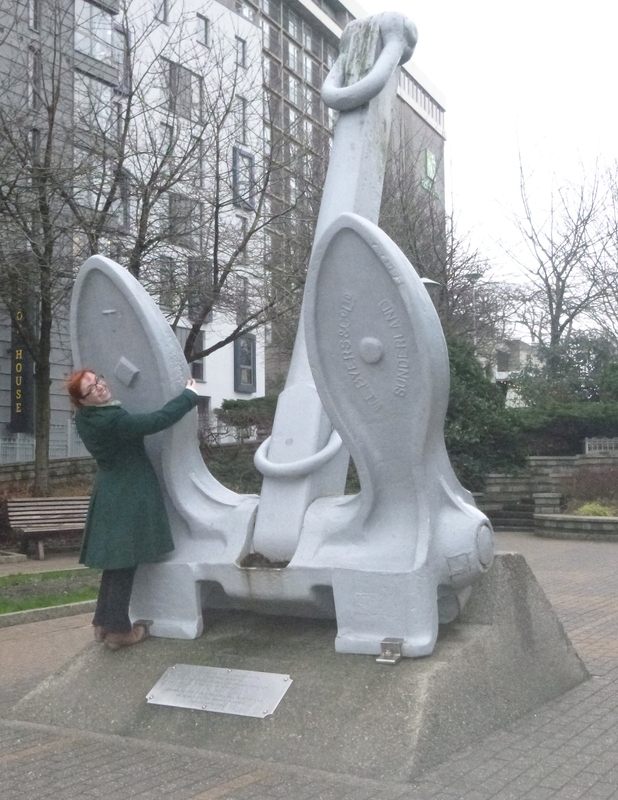 Can a geologist ever operate without anchoring bias? Just let go of the anchor!! Before I launch into my reasoning for this, I should probably define what anchoring bias is. Anchoring bias or focalism, is a type of cognitive bias that usually happens in decision making, whereby the first piece of information (the anchor) becomes the basis for all subsequent decisions – even if this is illogical. Most often the phenomena has been tested using numbers, to quote an example given by Grau and Bohner – when participants are asked: Is the Eiffel Tower higher or lower than X meters? Followed by the question: How high is the Eiffel Tower? The answer to the second question will invariably be influenced by the value of X given in the first question. It has often been mentioned that anchoring bias is easier to demonstrate than explain (Strack and Mussweiler, 1997) which certainly seems the case, with explainations varying between selective accessibility (the anchor provides a point from which to test hypothesis and the data for it is more easily accessible – Mussweiler and Strack, 1999) to emotional state (those who are ‘sad’ and who generally demonstrate less bias – aka a more realistic view of the world – than those who are happy, seem to be more susceptible to anchoring bias – Bodenhausen, Gabriel and Lineberger, 2000) to expertise and experience (whereby experts base forecast and other data extrapolations on previous values, which may in some cases lead to very inaccurate results, Campbell and Sharpe, 2009), which bring me back to the geologists. The reason I thought of geologists in particular being susceptible to anchoring bias is because, having worked as an Identification Officer at the Natural History Museum in London, I know that hands down the first question I ever asked someone who brought me something geological to be identified was ‘where did you find it?’ In fact I would even go so far as to say that if someone didn’t know where an object was from initally, it would be practically impossible to give a detailed ID. Yes I would be able to tell them roughly what their object was, but for detail I needed a location. This is true of all geology, where you are defines the types of rocks, mineral and fossils that you expect to find. Most intersetingly in this case however, it is just as likely to define what you WON’T find. Anchoring bias in geology precludes us from choosing certain rock types, fossils or environments of deposition in an area simply because that’s not what the maps say. And we love our maps. 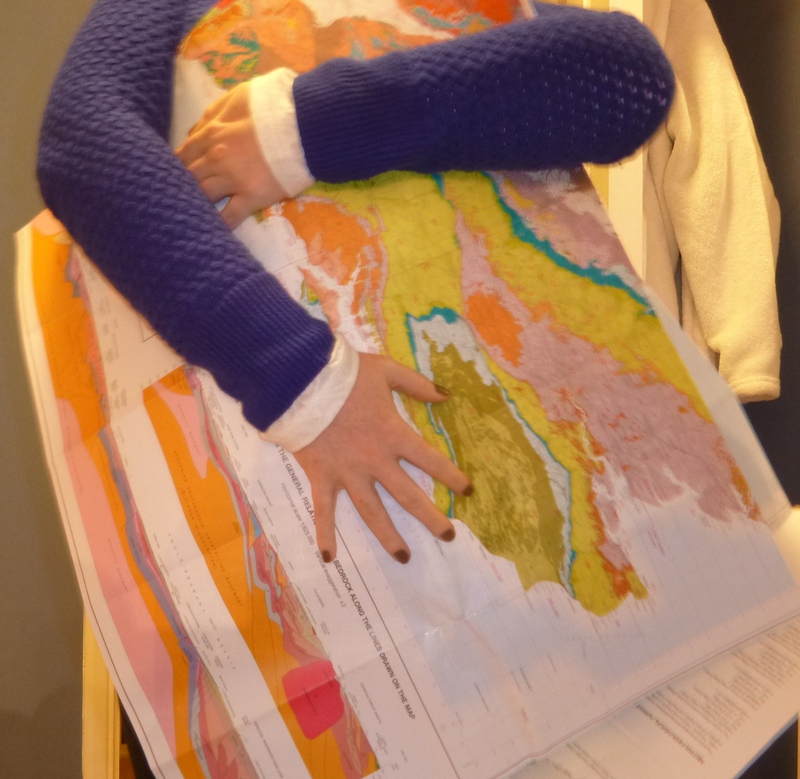 And we really do love our maps! But is there a problem with this? I mean, as researchers show, it’s likely that all experts experience some form of anchoring bias (in fact we all do) – so what’s the big deal? Well I guess as someone looking at communicating geoscience and trying to understand how people perceive geology, the influence of bias is a big deal in building trust, and we don’t even take anchoring bias into account. If we unknowingly encourage anchoring bias in interpreting our data, then are we skewing our results and presenting them with more confidence than we should? I wonder how many geologists would change their interpretation of soemthing just because the loaction changed? And yes, context is important, but do we let it control our interpretation too much? It may be that for geoscientists, anchoring bias is just a fact of life, but I think we should all be aware of it and try to take our own natural biases into account when communicating our data.